Performed by the TurpinTyme Ragsters, Kansas City's premier Ragtime ensemble, Rags to Riches is a lively program about the Ragtime music of the late 1800s and early 1900s. 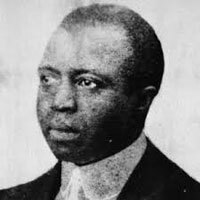 Best defined by musician Scott Joplin, Ragtime was a musical and cultural phenomenon that came from the African-American society of the urban South and Midwest. With its syncopated energy, Ragtime music was America's first original classic art form that became popular on a national level and influenced every significant American music form that followed. To hear an example of the sound of The TurpinTyme Ragsters please watch the short video below. Fees: $568 single, $864 double / The break between performances must not exceed 90 minutes to receive the reduced rate. Title 1 Schools may qualify for funding assistance.